Passionate about women’s health & fitness? I’ve got something for you. [W]e need more effort to promote basic human values — human compassion, human affection. And in that respect, females have more sensitivity for others’ pain and suffering. How can we create a paradigm shift in the world? I believe it will come only through reclaiming our bodies, our labor, and our relationships with other women. The programs I recommend below have created a ripple effect not just in the lives of the people who have graduated from the programs, but in the way we come to understand and think about health. Twenty years ago, few people knew what a health coach was, let alone had one. Most people think that the postpartum period is the first six weeks after giving birth, when you go to the doctor and they clear you for getting back to work and your life. Today, more and more doctors are bringing in health coaches to support their patients, and traditional roles such as nurses and dietitians now adding health coach credentials to their expertise. With more and more attention being giving to maternal health outcomes, we’re seeing a rise in paraprofessional support throughout pregnancy and pospartum, most noticeably via doulas and perinatal and postpartum mental health professionals. If you’re passionate about changing lives through healthy lifestyle practices and you want to focus on women, I invite you to check out these online training programs. IMPORTANT: Neither I nor the training programs below promise any level of success of income as a result of the trainings or investment. Everyone’s version of health, happiness, and financial freedom is different. The path to a successful and thriving health, wellness, and fitness business begins with committing to your own personal journey. Your story is what will inspire and empower others to step up and claim health and happiness in their own lives. I attended IIN in 2004. Back then, I was suffering from chronic sinusitis, fatigue, irregular menstrual cycles, and weight gain from living off bagels and pizza while in college. IIN gave me the foundation I needed to heal my symptoms and release the excess weight without dieting and deprivation. I used the health coach training I received to grow two niches, including helping junk food vegetarians eat more whole plant foods and running community food education and agritourism programs. While we’ve heard of menstrual cycles and sometimes even get them, and maybe we’ve had a baby or two, most women have NO IDEA how periods work and what is going on in their bodies every month. Women are living with PMS, period pain, and heavy flows thinking it’s normal (it isn’t! ), as well as fibroids, PCOS, endometriosis, infertility, and a host of other reproductive health issues keeping them from living full and engaged lives. As an Integrative Women’s Health Coach, you can show women how to make the food, lifestyle, and environmental changes necessary to reverse their symptoms, avoid major medical interventions when possible, increase their fertlity and libido, and live their healthiest and happiest lives. Click here to register for the next info session. Recommended for graduates of the above or other health coach training programs. 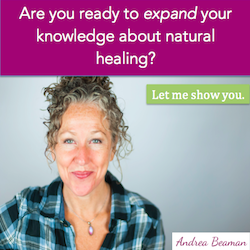 A unique program designed for health coaches and wellness practitioners in the healing arts who want to expand and enhance their range of skills while building a thriving practice. Health coaches are given many tools on how to attract potential clients, but many lack the skills and confidence needed to progress their career and sustain a thriving business. Click here to learn more about the New Healers Master Coaching Program. The first three months after giving birth is crucial to the health and recovery of the mother and lays the foundation of her bond and transition to motherhood. It is essential that we provide mothers of newborns with comprehensive support and community to help them feel connected and nourished during this time. INNATE Postpartum Care—Certification Training, is an intensive training for ALL birth and health care professionals who understand the deep need to UPLEVEL the type of postpartum care women currently receive. Postpartum physiology undergirds INNATE’s entire training, offering essential understandings into the requirements necessary for healthy Mothers and families- and thus the requirements necessary in the creation of a thriving human culture. Click here to enroll. As a child, I always had one of those cheap plastic hoops that bent and lost its shape over time. While I remember being able to hoop with moderate success as a kid, I learned that all that body memory was lost to me as an adult. I started hula hooping to strengthen my core and possibly help correct my anterior pelvic tilt. As a Yoga practitioner, having a practice that combines both has been a game changer for both my spiritual practice and fitness goals. With HoopYogini, I now have a feminine-centered movement practice that is wholly integrated with my work as a women’s reproductive wellness and maternal health coach. Click here to learn more. I am committed to helping you thrive as you become the best version of yourself. All referrals that come through my links are invited to join my embodied feminine business mentorship community at no extra cost. Together, we support each other’s personal and business growth through a private, online community, live calls, and in-person gatherings. ALREADY ENROLLED IN THESE PROGRAMS? I show my referrals how to engage women and build a strong ideal customer base through social marketing, personal and professional development workshops, affiliate and multilevel marketing in a way that is authentic, aligned, and juicy. Some of the tools I use to do this are Sparked, The Desire Map, and The Fire Starter Sessions, of which I’m also an affiliate. There is an application and investment for non-referrals to join my mentorship program. If you’d like to learn more, visit truthanddesirelab.com. I may receive a referral commission when you enroll through the links above. Neither I nor the trainings represented above make any claims as to the success, financial and otherwise, of the graduates. Please exercise personal wisdom and due diligence before investing and enrolling in these or any programs. These training programs are not affiliated with me and my offerings, nor have they reviewed my offerings.